﻿ Luis Fernandez: "There's too much hype about Ronaldo and Messi. 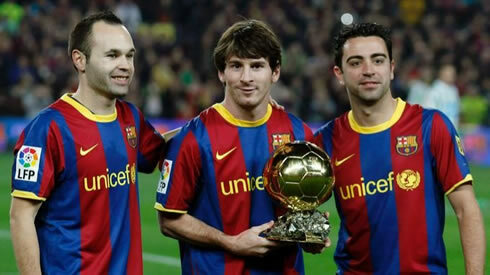 The best is Iniesta"
17.12.2011» Fernandez: "Too much hype about CR7 and Messi. The best is Iniesta"
Luis Fernández expressed his opinion on who is the best player in the Spanish League and surprisingly, he didn't pick neither Cristiano Ronaldo or Lionel Messi. 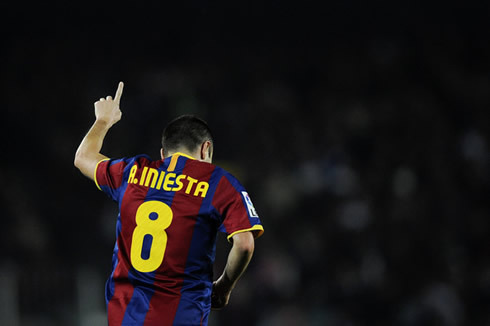 Fernández believes that the Spanish player, Andrés Iniesta, is a better overall football player than any other athlete in La Liga. The current Israel Nation Team coach, Luis Fernández, won't be able to vote on the player who he regards as the best in the World, in FIFA's Best Player of the World award, that will be held in January. Fernández ranks Andrés Iniesta above Cristiano Ronaldo, Lionel Messi or Xavi, precisely the 3 candidates to FIFA's Balon d'Or. The Spanish-born coach also had a few remarks about the last "Clasico" and pointed his finger to José Mourinho tactical choices as the main reason for Real Madrid to have loss the clash against Barcelona. The man who is said to be the main responsible for bringing Ronaldinho to Europe, more precisely Paris Saint-Germain, in 2001, is one of those coaches with an impressive long career in football. Luis Fernández has been on the active since 1992 and has coached 9 different clubs/national teams. Now at the service of the Israeli National Team, Fernández will be granted with the opportunity to cast his vote on who he believes to be the best player in the World, but the Spanish coach is certainly disappointed for not seeing Andrés Iniesta in the final 3 nominees. Fernández: "There's just too much hype and talking about both Cristiano Ronaldo and Lionel Messi. 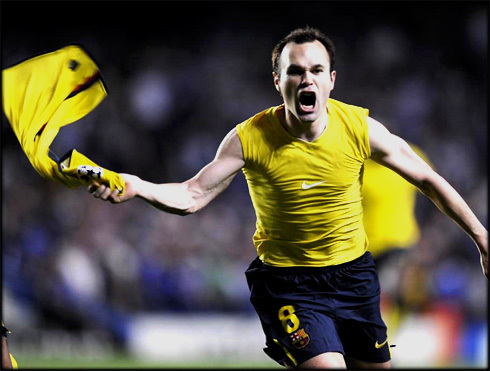 In my opinion, the best player in the Spanish League is actually Barcelona's Andrés Iniesta. He just does everything right, since he sets up plays brilliantly, assists for goal like only a few can and he also scores regularly. Iniesta is a genius, a inborn talent that always knows what to do when he gets the ball on his feet", outlined the Spanish coach when analyzing and praising Iniesta's special ability as a terrific decision maker in midfield. He then added to conclude: "For many times, some people have doubted him because he had such a fragile physique but also due to the fact that big and strong midfielders were dominating the game back then. These days it's certainly a different story, since smaller players are managing to have a great impact in many strong teams". Fernández also shared his view on a few other promising and talented players across Europe, who have actually already been linked with either a return or a transfer for the two Spanish giants, Real Madrid and Barcelona. We're talking about the Argentinian playmaker Javier Pastore, currently playing for PSG and Oriol Romeu, defensive midfielder from Chelsea FC. Fernández kind of discredits Pastore, by saying that the Argentinian will probably never shine in a top European club, but actually believes that Oriol Romeu will be a big name in a near future. Fernández: "I've been seeing Oriol Romeu playing at Chelsea at a tremendous level. If you ask me, I would say that Barcelona will eventually come back for him, because he's remarkably similar to Sergio Busquets," noted the Spanish coach, visibly impressed by Oriol's latest performances as a "Blue". 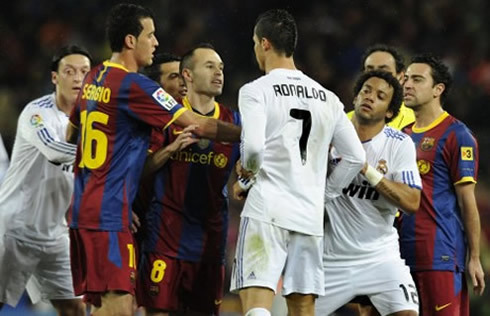 Even though the "Clasico" ended up nearly a week ago, many football personalities keep commenting and analyzing a few particular in-game events. Unlike many people out there, Fernández doesn't blame Cristiano Ronaldo for Real Madrid's failure against Barcelona, but he prefers to criticize the Merengues coach, José Mourinho, tactical choices and game approach. The Spanish coach believes that Mourinho's mistake was to have the ambition of fighting for the ball possession against a team such as this Barcelona. Fernández: "Mourinho lost the game. Pep Guardiola had a better read of the game and knew the best places to position his players. You simply can't think about dominating the midfield against Barcelona and actually fight for the ball possession. That just won't happen", said Fernández while criticizing José Mourinho's attacking approach to the game. Real Madrid will take on Sevilla this Saturday, for "La Liga". Cristiano Ronaldo is most likely be on the line-up, and the game will be held in the Sánchez Pizjuán. You can watch Juventus live stream, Sevilla vs Real Madrid this Saturday for "La Liga" and QPR vs Manchester United on Sunday, for the English Premier League. You may also follow Barcelona vs Santos free for the FIFA Club World Cup final. All these games are available from our free live streams section.